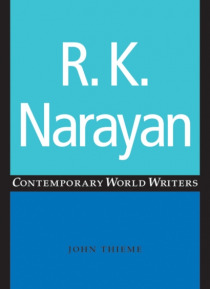 R.K. Narayan's reputation as one of the founding figures of Indian writing in English is re-examined in this comprehensive study of his fiction, which offers detailed readings of all his novels. Arguing against views that have seen Narayan as a chronicler of "e;authentic"e; Indianness, John Thieme locates his fiction in terms of its specific South Indian contexts and cultural geography an… d its non-Indian intertexts. The study also considers the effect that Narayan's writing for overseas publication had on novels such as Swami and Friends, The Guide and The Man-Eater of Malgudi. Narayan's imaginary small town of Malgudi has often been seen as a metonym for India. Thieme draws on recent thinking about the ways in which place and space are constructed to demonstrate that Malgudi is always a fractured and transitional site, an interface between older conceptions of Indianness and contemporary views that stress the ubiquitousness and inescapability of change in the face of modernity. The study also shows that Malgudi is seen from varying angles of vision and with shifting emphases at different points in Narayan's career. As well as offering fresh insights into the influences that went into the making of Narayan's fiction, this is the most wide-ranging and authoritative guide to his novels to have appeared to date. It provides a unique account of his development as a writer.